Ubisoft’s conference suffered with the lack of its hardest hitters. Ubisoft has been on a streak for the past couple of years, with games like Watch_Dogs, Rainbow Six Siege and The Division ending their E3 pressers with a bang. This year was a steep drop from what we’ve known Ubisoft to leave us with year after year. This is quite unfortunate as it’s the publisher’s 30th anniversary and they couldn’t replicate past success. Aisha Tyler returned to host for the fifth time, doing her best to make an okay conference a better one. Ubisoft has the hardest job with these conferences out of any of its competition. They have games as adult and violent as For Honor and games as casual and family friendly as Just Dance 2017. Proof of this wide spectrum is the show opening with a giraffe dancing and pivoting to the drug- and murder-filled Ghost Recon: Wildlands’ demo. This demo was one of the very few highlights. In between these moments was unwanted fluff. There were video packages, people sitting and talking and just flat out boring demos. 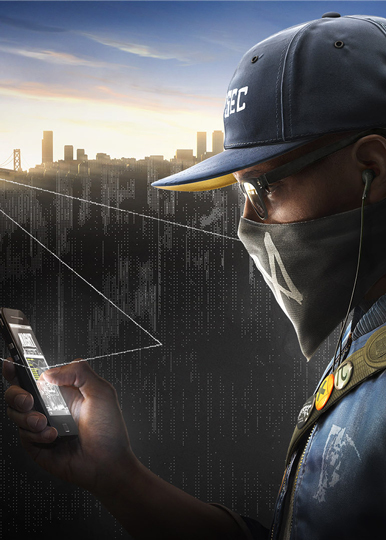 While Watch_Dogs 2 was a big set piece, Ubisoft milked it beyond my point of interest. On top of that, Ubisoft thought the inclusion of dull Assassin’s Creed movie footage was going to propel this conference forward. SPOILER: It didn’t. VR is an inevitable topic this E3, but demoing just won’t do anything for the people watching you rotate your head around. This is why Eagle Flight and Star Trek: Bridge Crew only harmed this conference’s quality. Both games begged to be avoided. Demoing just won’t do anything for the people watching you rotate your head around. Above, I mentioned that games like The Division and the original Watch_Dogs have been Ubisoft’s “One More Thing” in recent years. If there was one thing that could redeem this mediocre conference, it would be the proven gimmick of leaving us with our jaws dropped. Is it a new Prince of Persia, Beyond Good and Evil, hell, even FarCry 4 DLC? No! Not at all. Think of what you want. Not that, either? What Ubisoft gave us was Steep. In short (for your sake and for mine), Steep is a downhill, extreme sports game where you can glide, ski or snowboard your way down a mountain. It’s not that the game looks bad, I just don’t think anyone wants to play it. Had it opened the show, reactions may have been positive, but it was placed at the end of an elongated conference that we all just wanted to end. Ubisoft, where’s your editor? The publisher delivered mediocrity this year. The brightside is that this is rare. We got more gameplay from some promising titles like Watch_Dogs 2 and For Honor. Returning to that wide spectrum, Ubisoft showed it’s not afraid to do weirder and smaller things in Grow Up and Trials of Blood Dragon. The content was weaker this year, but the show could have been salvaged with a shorter runtime. Instead, the bad was smeared end to end with some glimmers shining through. Were you awake the entire time? Tweet me your technique @NerdDotMe. And be sure to follow us @YouNerded.